Hamas is the largest of several Palestinian Terrorist and radical Islamist groups. Its name is an Arabic acronym for the Islamic Resistance Movement, originating as it did in 1987 after the beginning of the first intifada, or Palestinian uprising, against Israel’s occupation of the West Bank and Gaza Strip. 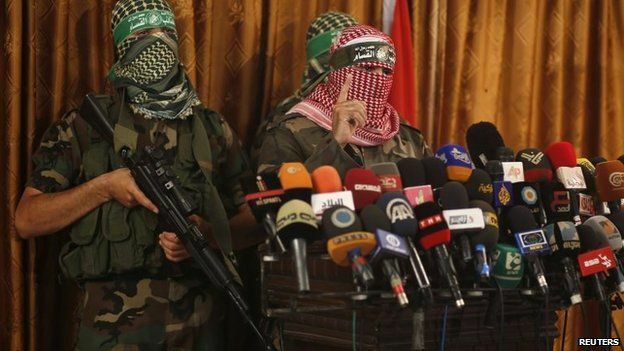 It originally had a dual purpose of carrying out an armed struggle against Israel – led by its military wing, the Izzedine al-Qassam Brigades – and delivering social welfare programmes. 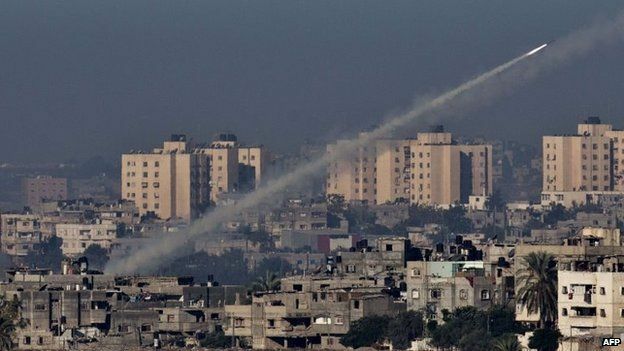 Israel held Hamas responsible for all attacks emanating from the Gaza Strip, and has carried out three major military campaigns in Gaza – Operation Cast Lead in December 2008, Operation Pillar of Defence in November 2012, and Operation Protective Edge in July 2014. 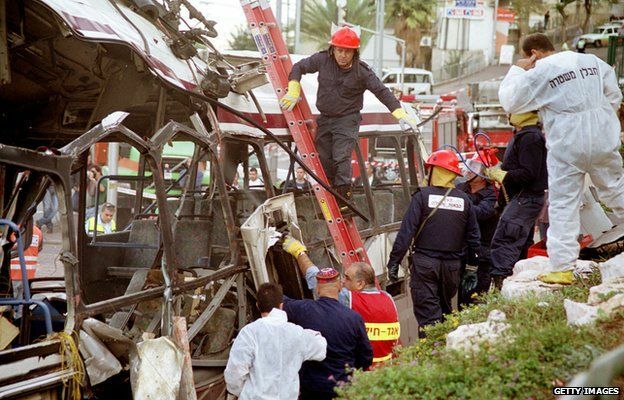 The bombings were widely blamed for turning Israelis off the peace process and bringing Benjamin Netanyahu – a staunch opponent of the Oslo accords – to power. In the post-Oslo world, most particularly following the failure of US President Bill Clinton’s Camp David summit in 2000 and the second intifada which followed shortly thereafter, Hamas gained power and influence as Israel clamped down on the Palestinian Authority, which it accused of sponsoring deadly attacks. They saw “martyrdom” operations as avenging their own losses and Israel’s settlement building in the West Bank, wanted by Palestinians as part of their own state. Hamas’s charter defines historic Palestine – including present-day Israel – as Islamic land and it rules out any permanent peace with the Jewish state. It insists though that millions of Palestinian refugees stemming from the 1948 war must be allowed to return to homes in what became Israel – a move that would threaten Israel’s very existence. After the death of Sheikh Yassin, Khaled Meshaal became the group’s political leader in exile. He was succeeded by Gaza-based Ismail Haniya in May 2017. 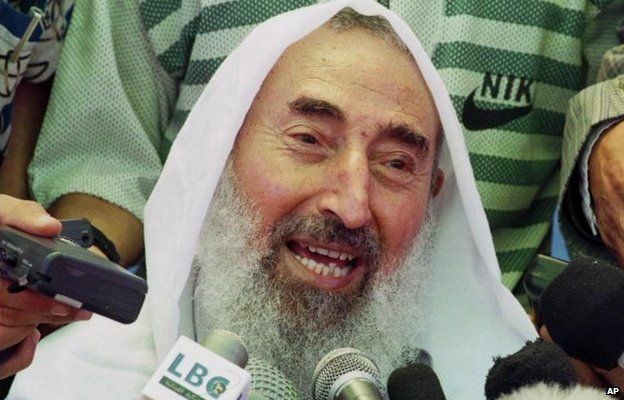 Hamas’s decision to stand in elections in 2006 was a major departure for the movement. In December that year, Israel launched Operation Cast Lead – a 22-day offensive aimed, Israel said, at halting rocket attacks from Gaza. More than 1,300 Palestinians and 13 Israelis were killed. Israel cited the same reason for Pillar of Defence in 2012- which began with an air strike that killed Ahmed Jabari, the Qassam Brigades commander. Some 170 Palestinians – mostly civilians – and six Israelis died in the eight-day conflict.